Most people couldn’t tell you their credit score off the top of their head, but is that a good thing? The more you know about your credit score and history, the better off you’ll be in life. Borrowell helps their users monitor their credit and even assists them in improving it if they wish to; their services can do a lot to help you get your financial life back on track. Borrowell is a company that aims to make Canadians more familiar with their credit score and the things that help to determine it. On their site, you can create an account and request that they pull your credit score from Equifax, one of the two major Canadian credit bureaus. This will not cause your credit score to be damaged in any way, but it will allow you to look at it and assess it, as well as determine what you might do to improve it and have a better chance at scoring approvals and good deals with all the lenders you approach. Just recently, they expanded their services to include providing each user’s full Equifax credit report on demand, not just their credit score. With this more detailed breakdown of your credit status, you can do things like check up on who has pulled your credit score recently and what that did to your score overall. Borrowell is not the only service like this out there, but as we’ll get into, there are some things they provide that make them the best choice to fill certain credit needs. You’ll find out exactly what those are a little later on. Borrowell’s services require you to make some of your personal and financial information available to them, and as always, it’s important to never do that unless you trust the company doing the asking wholly and completely. Otherwise you could end up being hacked, scammed, or even just harassed by salespeople for months, none of which are pleasant experiences. We’re here to tell you that you can trust Borrowell with this, and that they will not be selling any of your information for revenue. Like most companies in this space in the credit market, they fund their operations through the targeted ads that you see come up with your credit report each time you run it. The products displayed there are supposed to be uniquely suited for your credit profile as Borrowell understands it, and you should have a very high chance of successfully getting any one of them if you choose to apply for them. You don’t have to do this if you don’t want to, though; you’re at full liberty to just ignore them if you aren’t looking for any loans or credit cards at the moment or if you just don’t like any of the ones you see. If you do choose to apply, however, they receive a small kickback from the providers for whom they are advertising. This ensures that they can keep providing services to you while being compensated for their efforts, but also that you will never have to pay up-front or be forced into getting any financial products you don’t want. No one loses out and in the right scenario, everyone can benefit. Because Borrowell is committed to truly improving Canadians’ credit (not just showing them their scores), they have taken an extra step to help make sure that happens. They recently launched their AI credit helper tool, a piece of software called Credit Coach. This tool analyzes the user’s credit reports and assists them in interpreting their meaning. While lots of credit monitoring companies do something similar to this, Borrowell’s service is more personalized than most and for that reason may be more helpful to you. If you want to use it, the first thing you have to do is get ahold of your credit score. Once you have it, you can open the tool and feed that information into it, answering any questions the tool asks you to provide it with greater context. The more it knows about you, the more helpful its suggestions can be. It will take all of these cues into consideration and come back to you with a set of tips for you that may help you to achieve a better credit score. These things will be specific solutions that are uniquely tailored to your needs and that are broken down step by step for you to make following them as easy as possible. If you decide to act on any of these suggestions (as always, you don’t have to), it can also provide you with reminders, warnings and encouragement along the way to make sure that you stay committed to your goals. Basically, it will do all the things that you would expect a professional credit counsellor to do, but instead of costing you hundreds or even thousands of dollars to consult, its services are completely free. All of this extra information does a lot to set Borrowell apart from their handful of competitors in this space. They offer a much more detailed look at your credit and financial status than many of those other companies do, giving you a reason to choose them over the others. It’s a lot of information to get all at once, but most people will be grateful for it when they realize how helpful it can be. You can always skip over the readings and categories that you don’t think will be useful to you, but for the most part, you’ll likely find that many of the things listed are things you wouldn’t even have thought to look into. Knowing that they are problems that are affecting your credit score is the first step toward remedying them. Even better, this is a completely safe and confidential process. Even though this service might feel like you’re getting the best advice from an experienced credit counsellor, it is an entirely automated process with no people actually interacting with you at any point. This means that you can enjoy all the benefits it brings without worrying about being judged or whether or not your information will stay safe in the hands of others – the only one seeing it is a completely neutral algorithm. There’s something special about a company with a strong Canadian identity. 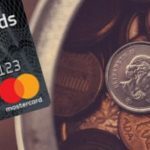 Borrowell is a fully Canadian company and always has been, which is a mark of distinction when comparing them to other similar credit monitoring companies. If you choose to use them, you can count on the fact that you are supporting Canadian jobs and investment in communities within your own country. For some people, that is a very important part of choosing a vendor for any service. Making that choice consistently is not only patriotic, but ultimately benefits everyone in the country as the income and tax revenue from a Canadian operation circles around the area. In this particular case, though, there’s even more of a reason to be happy about Borrowell’s local roots. The fact that they originated from within Canada means that they know Canadian laws, customs and needs very well and have built their business around them from day one. Unlike other companies who begin in the US or elsewhere and eventually make their way in here, their entire business premise was founded on serving Canadians right from the start. That may not necessarily make a huge difference in their day-to-day operations, but if it gives you peace of mind to know you’re being served by someone who understands what life in this country is like, you might want to know this bit of information. There’s one last thing that Borrowell does a little differently than most of their counterparts. In addition to providing affiliate advertising for other providers through their product recommendation programs, they also mix in offers for personal loans provided by their own internal service. That’s right – Borrowell is more than just a credit monitoring company, they are also a lender in their own right. Most companies like this are purely informational, but this one take things even further and participates directly in the market they are covering. Now, just because they do offer these loans does not necessarily mean they are any good; it’s important to consider how they stack up as compared to your other options. Fortunately, Borrowell’s personal loans happen to hold up well when examined in comparison to the other loan options you might have. Their APR can potentially be rather low in comparison to what you would get from similar lenders in this market, so for at least some people, they may present a unique and enticing opportunity to borrow a large chunk of money without paying very much to do so. However, that low APR can be a bit deceptive if you’re thinking that it can give you an accurate picture of the full cost of the loan. Borrowing from Borrowell also makes you responsible for paying a loan origination fee of somewhere between 1% and 5% of the total you are being lent (the final amount depends on the specifics of your profile, with your credit score naturally being the number one concern). Supposedly, this charge is levied in order to help cover the customer service and administration costs associated with providing your loan. This is not unreasonable, but it doesn’t help the affordability of their in-house loans, and it’s arguably a bit predatory not to just roll this charge into the APR that you are quoted when you are offered one of these loans. Borrowell’s intent is presumably not to trick anyone who applies for their loans, but they could still stand to improve the transparency of their lending if they wanted to seriously compete in this space. On the plus side, however, their in-house personal loans do come with a referral program that gives you the opportunity to earn quite a bit of money by referring others who go on to successfully borrow from the company. All you need to do to participate in this program is sign up and receive a personalized link for doing so. This link will allow Borrowell to track where any incoming applicants came from and let them know to attribute that deal to you. Whenever someone applies through this link and is accepted, Borrowell will know that it was you who brought them this business. To thank you, they will give you $200 for each individual person who successfully takes out a loan and makes their first monthly payment on time as expected. This is a rather large payout that will add up substantially after a few instances (just 5 people taking you up on your suggestion will get you $1,000 in total – not bad at all), so it’s worth taking advantage of if you can. It’s particularly nice if you are an active social media user with a large following throughout which you can easily spread your referral link, but just about anyone will appreciate the chance to earn a little money on the side. Even after reading all of these points, you may still not be sure what to think about this company. What it comes down to with Borrowell is that while they offer the same basic credit monitoring services that you can get elsewhere, but they do have several unusual strong points to recommend them. Their fully Canadian background is one of those; the edge that it can give them in this market should not be discounted. Further to that, the fact that they also offer their own comparatively low-interest loans alongside those of the providers for whom they provide advertising services, giving you one more potential option that will often be one of your best possible choices if you’re hoping to make use of the product recommendations. The referral program is a great extra incentive to go with them, too, especially if you think you have a lot of people in your life who might be interested enough to take you up on your implicit offer – it can be quite lucrative if you can get enough people on board. These three things put together make them a decent choice for any person seeking a good way to keep tabs on their credit and possibly get a loan too, but don’t forget that their specialty is in credit services only. If it’s a loan you’re really after, you may be able to achieve better results elsewhere.